DRAW WINNER: Kristina Matthews won the draw for an advance copy of Bring Him Home. Kristina if you'd like to contact me with your address on karina@karinabliss.com I'll get a copy to you! I’m in a slump. Not a reading slump thank heavens. In the last couple of weeks I’ve been reading, Making a Good Writer Great, Writing Romantic Comedy, Writing Subtext (guessed I need inspiration yet?) and for fun the latest releases from J.R. Ward, Sarah Mayberry, Abby Gaines and some ‘new to me’ Karen Marie Moning. I’ve also got Terry Pratchett’s Going Postal from the library from a recommendation on Anne Stuart’s blog. 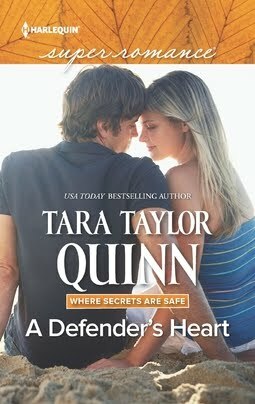 And that's before I get to other new Superromance releases. But at close to fifty thousand words into the new book with thirty to go I’m tired of 'staying with the cattle' as writer Elmore Leonard describes the writing process. I want to ride into town, raise some hell, kick up my heels! Still the book's taking shape (the fourth in my SAS heroes series - His Goodbye Girl). It’s about a soldier who comes back from the dead to discover his buddies have given his gal the engagement ring they found in his locker. Which he wouldn't have a problem with only he proposed on the eve of his departure - and she turned him down. Ouch! I love the premise and thought lots of comic mayhem would ensue but the book’s taken another direction though it still has comic moments. That’s the interesting part of writing...doesn’t matter what kind of detailed synopsis I labour over or how many times I juggle my scene cards the tone of the book works itself out through the writing. Sometimes I feel like I’m following my characters around with a tuning fork listening for the right note. 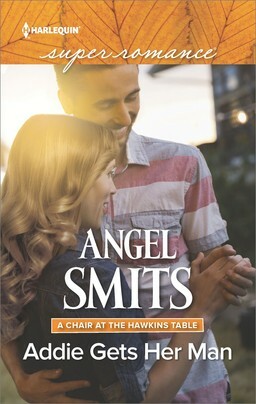 Bring Him Home, book 3 of the SAS series is out in May through e-harlequin and June through other retailers. While I was finishing line edits I did an interview with debut author Kyle Griffin about my writing process, which I’d never dissected before. So instead of giving you the back cover blurb let me tell you how Bring Him Home evolved. 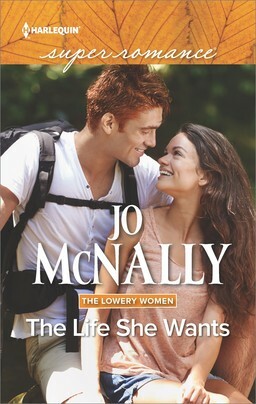 A guy falls in love with his army buddy's widow. That’s the basic premise. Then I asked myself some ‘what if’ questions. What if he had to make a Sophy's Choice (lesser of two evils) in the ambush that killed his buddy. What if his buddy was complicit in that choice? What if he's so scarred emotionally he turns his back on his friends, the only family he has? What if his best friend's widow forces him to come home because his signature in a family trust is required in order for her sell the home and invest in a business? What if she hasn't forgiven her late husband for something and the hero acts as go between? What if his own redemption is increasingly tied to reconciling the widow to her late husband at the same time he falls in love with her? I also looked at my favourite genre conventions and tried to twist them. Let's have a widow who adored her husband. Let's have the late husband a major character in the book. Let's have the love triangle about the hero's loyalty to his best friend as much as his love for his best friend's widow. Let's have a woman who's moving on and a hero who can't. Can you have different kinds of soulmates? Or one? How can I resolve the story so the reader believes that this man and no other is the 'one' while developing an affection for the late husband. The book is set in Pataua, NZ renamed Stingray Bay. Anyway, back to reading. I’m loving Going Postal, my first Terry Pratchett. What book has been recommended to you lately that turned out to be a great read? Or if you have a tip on how to be industrious when you don’t want to be, I’d be delighted to hear it. Post a comment and go into the draw for a copy of Bring Him Home. You can read an excerpt here. Karina your book sounds fab I love the What if? questions. I was pretty late to be recommended Room by Emma Donoghue. If I'd picked the book up and read the cover blurb I would never have bought it. But I was given it with the deal-breaking comment 'it doesn't have a bad ending'. I'm so glad, totally different from anything else I'd read and the pov from the little boy's perspective was excellent. My daughter got me hooked on Terry Pratchett. You must read WYRD SISTERS: the play scene, in particular, is brilliantly, laugh-out-loud funny. Scarlet, what I love about 'what if' questions is that it drives both characterisation and plot. I haven't heard of Room but you've made it sound really intriguing. Thanks for the recommendation. Marybelle, my seventeen year old son loves Terry Pratchett too. I'm really enjoying the quirky characters. Will look out for the Wyrd Sisters. I belong to a book club, and our last book was Still Alice--a story about a woman with early onset Alzheimer's. Not the kind of book I usually read (with no chance of the HEA), but a compelling story that gave me a different perspective on the disease. Love the "What if" questions. 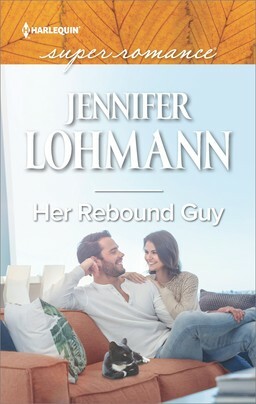 Your book sounds wonderful--and I'm ready for an HEA! Last recommended was Shiloh Walker's Ash Trilogy and then on the opposite side of the spectrum Katie Lane's Going Cowboy Crazy. Wow - you asked yourself all those questions? One begets another it seems! Karina, I love the premise of His Goodbye Girl! Fabulous. When I'm stuck in my writing, I take a break and have a 'fling' with a completely different genre. I'll noodle around with ideas for a Western Historical, or write the first chapter or two of a Regency or a Gothic--anything to get my mind off the problem at hand, but still remain creative. I have fun with it. It's amazing how it helps the creativity to kick in and then enhances the writing of the current contracted book when I return to it a couple of days later. I usually 'see' the answer to the problem I was stuck on. My nephew lent me The Hunger Games. I gobbled it up in two nights! When I was at Curves one day, I heard them talking about "The Guernsey Literary and Potato Peel Pie Society". I eventually bought the audio book and I am currently listening to it now. I will be one of my favorites. Karina, "I want to ride into town, raise some hell, kick up my heels!" I hope you go for it! Sorry, the brain won't come up with a decent answer to either of your questions, but I see the other commenter are doing a fine job! Thanks for a peek at your work process! "That’s the interesting part of writing...doesn’t matter what kind of detailed synopsis I labour over or how many times I juggle my scene cards the tone of the book works itself out through the writing." Amen, sister. This sounds like a beautiful book, and I can't wait to read it! 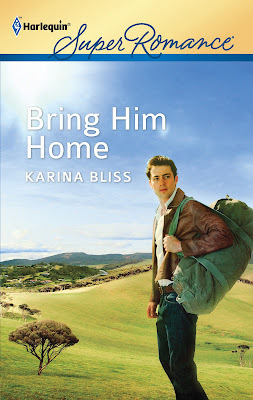 I agree with Cathryn, Karina, "Bring Him Home" sounds so layered and emotionally complicated--LOVE that angst! :-) And "His Goodbye Girl" sounds just as wonderful. When I get stuck and don't want to write anymore I start making deals with myself. 15 minutes on writing, 15 minutes on another activity, and on and on until I find myself involved in the story again and no longer have to use the timer. :-) Thank you for the reminder to ask "what if?"! Pamela I read Still Alice when I was doing research for Here Comes The Groom. It's a great book. Marcie R. Were they both good? Sometimes I get why the recommender likes the book but it doesn't work for me. One question definitely begets another, but they don't all come up together. They evolve too as I write the book. And some of them are my own pre-occupations. For example, I don't 'get' love at first sight though I beleive it happens. So that's fun to explore. The Hunger Games is incredible, I'm still building up to books 2 and 3 in the series. BW, wow what a great title. I'd pick it up too. Added to the list. Thanks. Mary B, yeah I'm all talk these days. That probably means a latte and a late night session with Pride and Prejudice. Cathryn, I've got Something to Prove in my TBR pile. Really looking forward to it when I next 'deserve' a break. Kathy, I HAVE to use a timer. So many people recommend one. I can hear the oven timer from my office. I'll use it today! It's funny isn't it how we forget our own tricks and techniques from book to book. It was only when I had to think about my process for the interview that I worked it out. It's helping when I get stuck in this one. I can't wait to read BRING HIM HOME. My High School English teacher recommended the author Wilkie Collins. He wrote THE MOONSTONE and THE WOMAN IN WHITE back in the 1860's. Bery complex characters with a mystery and romance. I've read many of his over 30 books. He was an interesting character himself, a friend of Dickens who lived an unconventional life. Thanks Kristina, sounds like a really interesting writer. Wonder what Wilkie was short for...Wilkinson? I can't wait to hear about that engagement ring in the locker...meanwhile the what ifs for your hero in Bring Him Home sound dire. So glad to know ahead of time you will provide the happy ending. I'm reading this & that- including a re-read of Pride & Prejudice. Laura, yep ask yourself the hard questions and then write a book discovering the answers. Talk about doing it tough. But great conflict and that's what makes things interesting. Alison, great Terry Pratchett quote, his sense of humor is wonderful to read. There's a golem in Going Postal too. Carol, I've just borrowed I've Got Your Number from a friend and really looking forward to it. Hope you enjoy Bring Him Home. Thanks, Snookie, that's lovely to hear.